The Justice Department expects to publicly release the redacted version of special counsel Robert Mueller’s report on Thursday morning, a Justice Department spokeswoman said on Monday. Anticipation of the report, which is expected to run nearly 400 pages long, has reached a fever pitch since Mueller transmitted it to Attorney General William Barr on March 22 following an almost two-year-long investigation into Russia's interference in the 2016 presidential election. Attorney General William Barr appears before a Senate Appropriations subcommittee to make his Justice Department budget request, April 10, 2019, in Washington. Two days after receiving the report, Barr sent a letter to Congress describing what he said were the special counsel's “principal conclusions." In that letter, Barr wrote that Mueller found no evidence that members of the Trump campaign “conspired or colluded with the Russian government in its election interference activities,” but he did not come to a conclusion about whether President Donald Trump had obstructed justice. Barr subsequently took it upon himself to decide the question, concluding that Trump had not obstructed justice. Barr said last week his did not know whether Mueller supported his conclusion. Congressional Democrats have since slammed Barr's handling of the matter, demanding members receive an unredacted version of the report and all its underlying evidence. 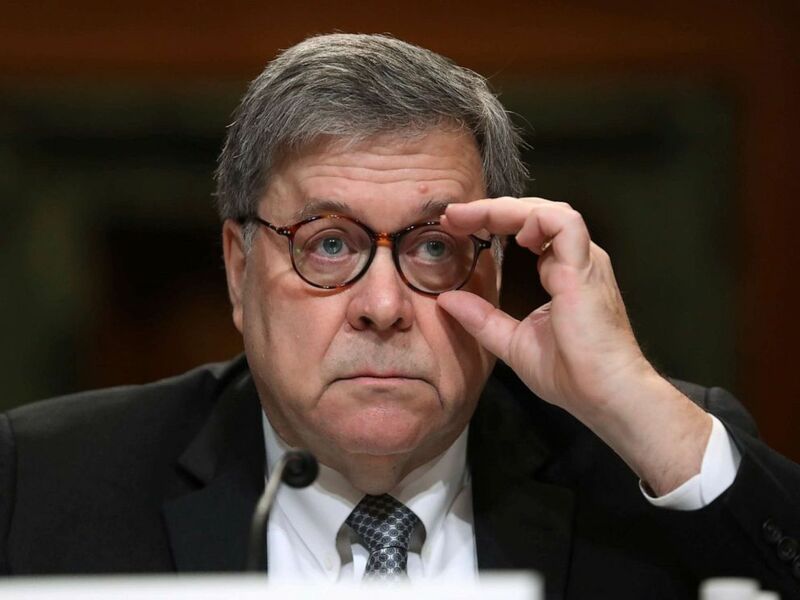 In testimony before Congress last week, Barr bluntly defended his handling of the report and said portions must remain confidential to comply with the law. He said he could be open to eventually releasing some of the redacted material after consulting with congressional leaders, but maintained he had no plans to seek a judge's approval to disclose grand jury material. Democrats, he said, were "free to go to court" on their own to ask for it. While a prospective court battle could take months or even years to sort out, Thursday's redacted version of the report will offer the clearest picture yet of the special counsel's lengthy and exhaustive investigation. According to Barr, Mueller’s 19 prosecutors and 40 FBI agents issued more than 2,800 subpoenas, executed nearly 500 search warrants, and interviewed approximately 500 witnesses, the results of which amounted to 34 people and three business indicted and six guilty pleas to date.